Kirkpatrick & Startzel, P.S. is excited to announce the relocation of its law offices as of August 1, 2017, to the historic Legion Building at 108 North Washington Street, Suite 201, at the corner of Riverside and Washington Street in Downtown Spokane. The phone number will remain (509) 455-3647. The Legion Building is a perfect match for Kirkpatrick & Startzel based on its historic presence in Spokane and connection to the rich history of the Inland Northwest. The new offices feature modern amenities in a historic setting, including comfortable conference rooms and a warm, inviting reception area. Access to the Legion Building will also be convenient for our clients, with several nearby parking options. The Legion Building was built in 1901 and is listed on the Spokane, Washington, and National Registers of Historic Places. It was designed by notable Spokane architect John K. Dow, and has many unique aesthetic features and qualities typical of buildings built in the early 1900s. 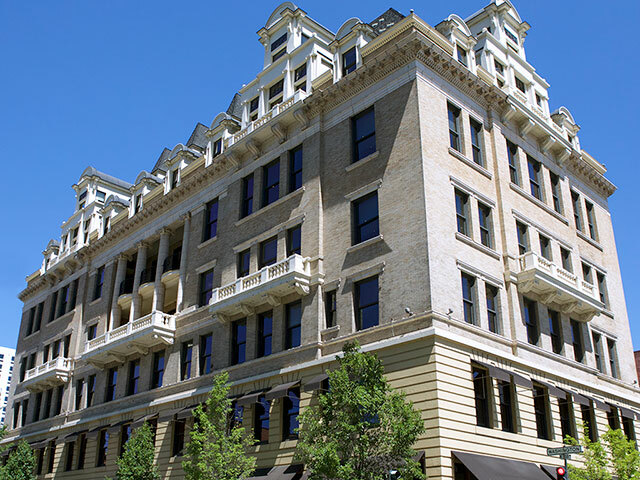 It was built by Spokane contractor Peter L. Peterson, who also was the contractor who built the Davenport Hotel. The Legion Building also has many modern updates due to a recent nearly 3-year renovation that both maintained and restored historic qualities while providing additional amenities. Since 1988, Kirkpatrick & Startzel, P.S. has been providing top-quality legal services to its clients. Our primary service areas are Washington, Idaho and Western Montana. Our practice areas include complex civil litigation, commercial litigation, personal injury, wrongful death, catastrophic injury, civil rights, construction law, consumer law, insurance law, estate planning and more. The new office space is newly constructed and was custom designed to accomplish the firm’s ever-present mission to best serve the interests of its clients. For more information about the firm, please visit our newly updated website at ks-lawyers.com to find information about the new offices, our people and the work we do on behalf of our clients throughout the Greater Inland Northwest and beyond. We pride ourselves on being large enough to help, small enough to care.